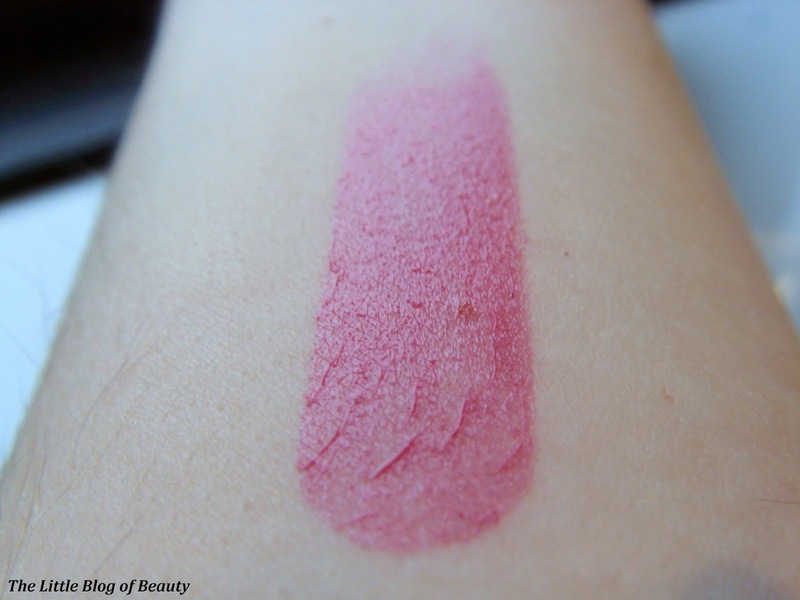 I'm always lusting after a least one lip product at a time and this is one that I had been after for quite a while before I finally caved in and bought it just before Christmas. I'm not quite sure why I was lusting after this particular product as I'm more of a full finish lipstick kind of girl, but recently I appear to be making a habit of lusting after products that are not really my kind of thing or that I'm not actually that interested in but for some reason still want. The only reason this isn't really my kind of lip product is that it's more of a balm than a full finish lipstick. However, despite being a balm type lipstick this does have very good colour payoff and is a very juicy looking blue based red shade, slightly deeper than shows in my swatches. 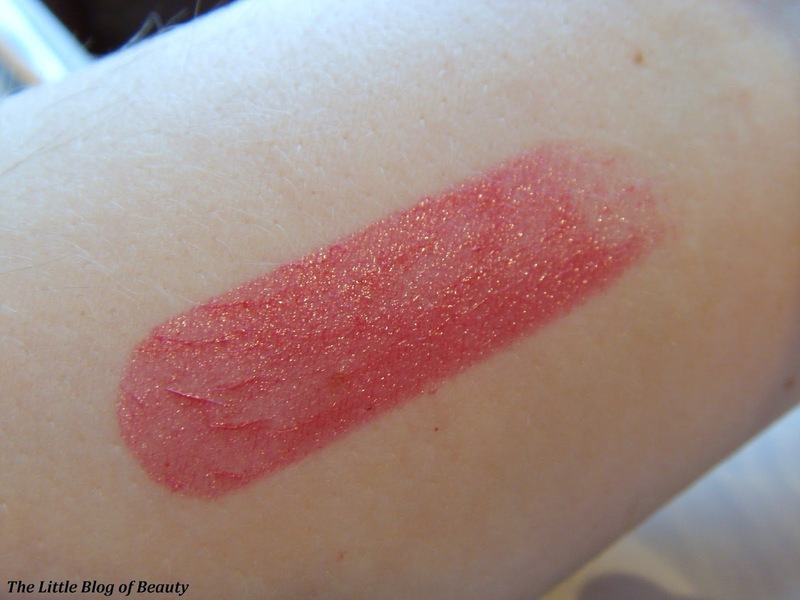 Despite the glittery appearance in the lower swatch, this does not contain any glitter. The glittery effect is due to the bright lights in my bathroom reflecting off the shine in the lipstick. As a balm this does mean that it's not really the longest lasting of lip products with a wear time of maybe a couple of hours. However it's really easy to reapply and you could possibly get away with doing this without a mirror if you were careful. 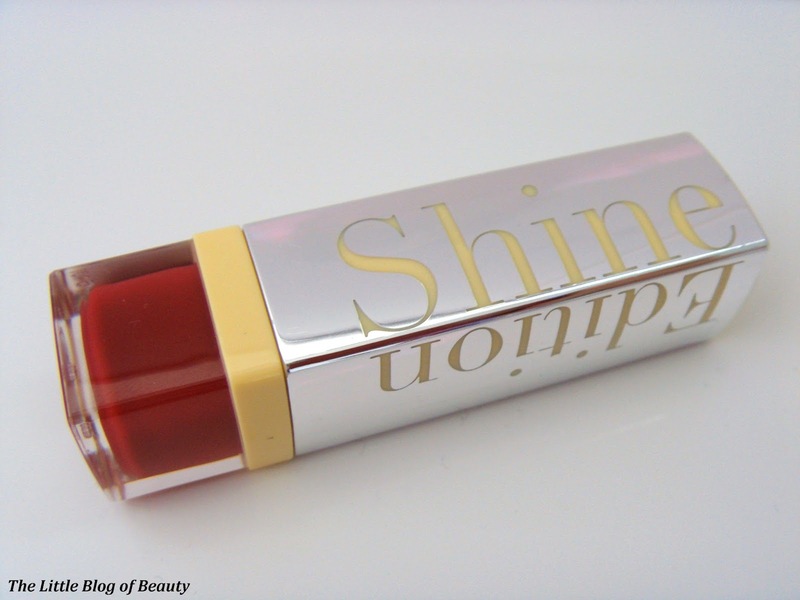 Although the packaging has quite a summery appearance to it the colour and formula could easily work all year round. The formula is light enough for a juicy pop of colour in the summer if you prefer a lighter coverage when it's warmer but would also be good for helping protect lips from the cold and keeping them moisturised in winter thanks to the mango butter extracts. I'm not really a fan of the packaging, particularly the yellow parts, but this coloured part does vary depending on what shade you pick. I personally prefer the darker packaging on the Rough Edition lipsticks. I do like this as a quick and easy apply and go product and if you're a fan of balm type lipsticks or crayons I think you would really like this. 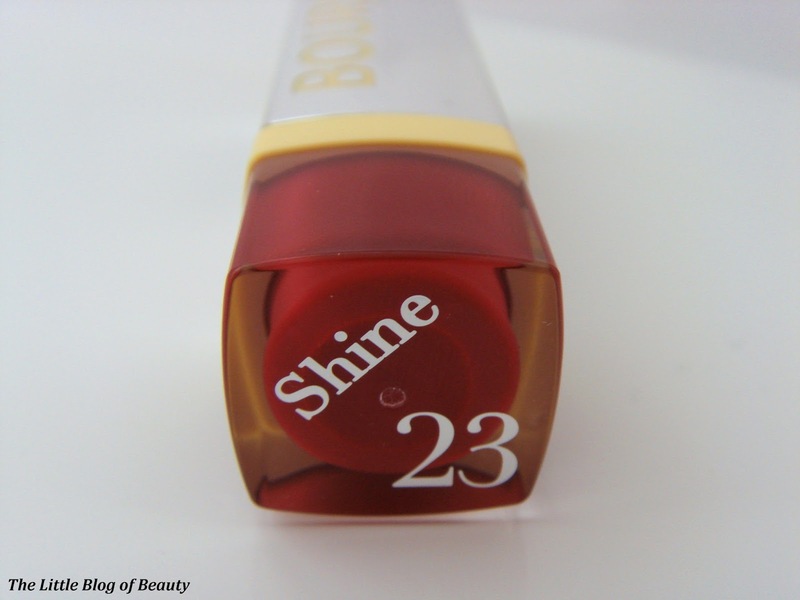 Have you tried any of the Bourjois Shine Edition lipsticks? 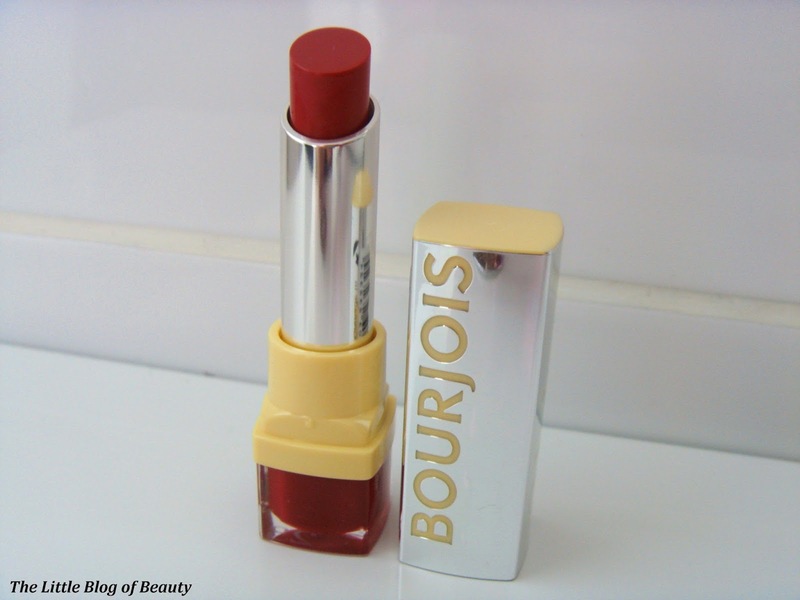 I am a big fan of Bourjois- especially their lipsticks. Affordable but good quality normally- although it sounds like these dont last too long. 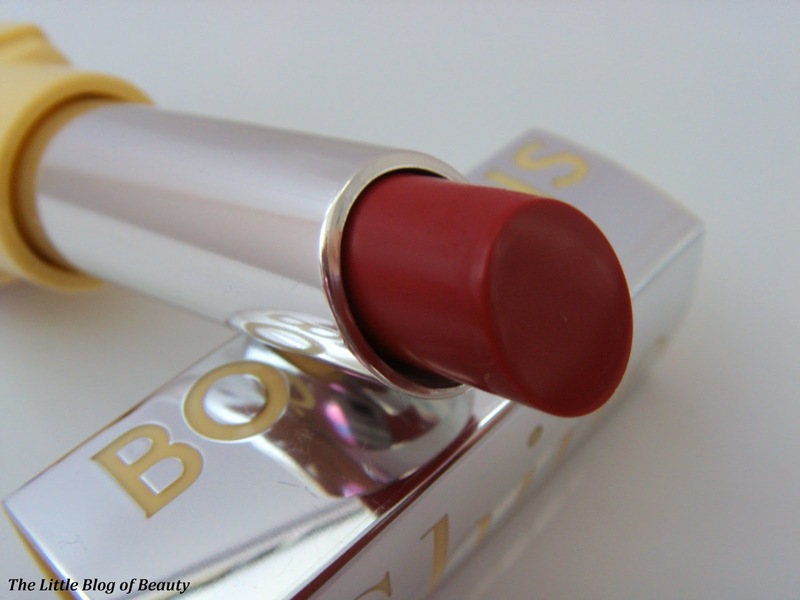 I only really started using Bourjois last year and I'm loving quite a few of their products.